Danish armed forces have been deployed to the streets of the capital to guard potential terrorist targets, as well as the German border, to aid police with their duties. 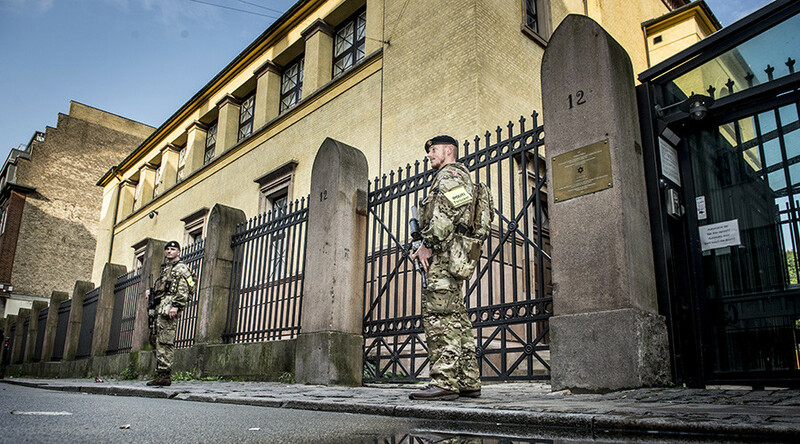 It is the first use of troops in Copenhagen since WWII. 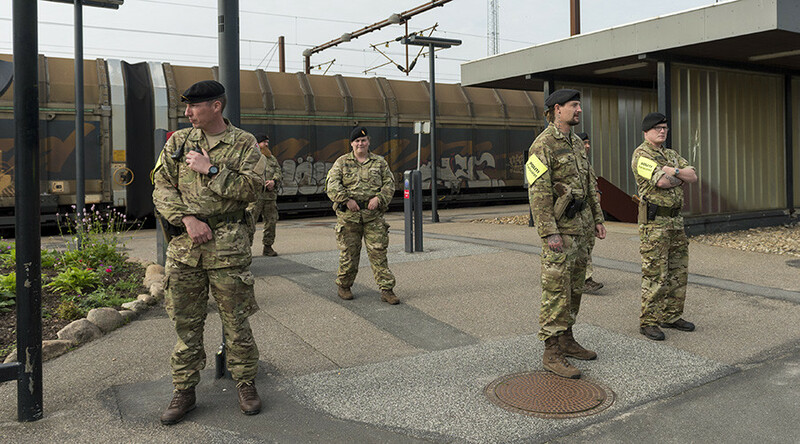 On Friday a total of 160 soldiers, bearing automatic weapons and special insignia, were sent to assist police at the German border and to watch locations in the capital vulnerable to terror attacks, the local media reported. These include several Jewish institutions, such as the Great Synagogue in central Copenhagen and the Israeli embassy, as Jews observe the Yom Kippur holiday. “This is the first time they are used in this type of situation, so it’s unique,” AFP cited Copenhagen police spokesman Rasmus Bernt Skovsgaard as saying. The border with the German state of Schleswig-Holstein has likewise seen an increase in the military presence. A special unit has been set up to guard and transport detainees and asylum seekers, while police and Danish Home Guard are still responsible for arrests and ID checks, introduced in early 2016. For now, the soldiers’ mission at the border will last for three months, according to a statement from the Armed Forces. The move, however, has already sparked criticism, particularly from the mayor of the German town of Flensburg near the border, who called the decision “a disaster” and “a big mistake,” DR Forsiden quoted. The decision to relieve significant police resources was announced earlier in the month following alarming reports of extreme overtime hours worked by too few officers, and a more-than-year-long discussion in the government. What remains unclear is how long the soldiers will be taking over the police duties for at the Jewish sites, with the synagogue having been under continuous police surveillance since February 2015 when it became one of the targets in three separate shooting cases. On February 15 2015, a Danish-born citizen of Palestinian origin, who pledged allegiance to Islamic State (IS, formerly ISIS/ISIL), opened fire outside the synagogue, killing one. Earlier, the gunman attacked a cultural center, hosting a gathering on blasphemy and freedom of expression, leaving one dead. The threat level in Denmark remains as “serious,” ranked four on a scale of five.